Canadians think of themselves as being more honest than any other nation. Every nation cheats the same. Visual information can be deceiving. 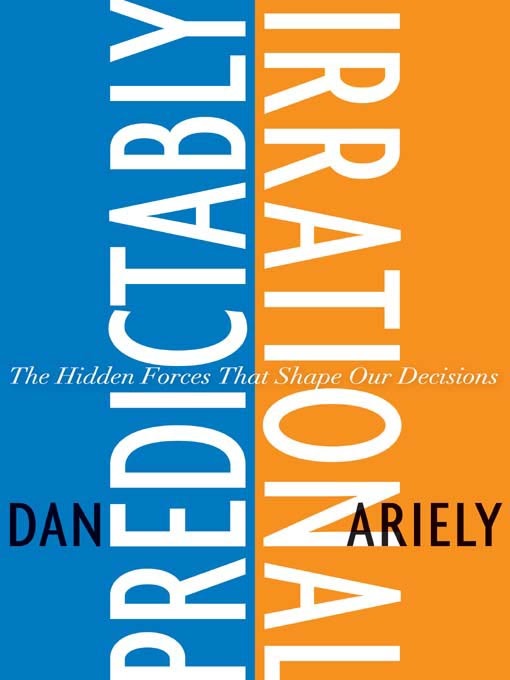 Dan Ariely suggests that humans are predictably bad in making financial decisions. I believe that is true and explains much of franchising’s cash flow. Franchisees stay in money-losing operations much too long because they make a fundamental error (own versus rent). They see themselves as “owners” of their business, while in fact, they are conditional renters of trademarks and an operating system. This makes them overvalue their investment and continue to invest much, much more of their own personal identity in the business. This is particularly true because the new renter is much less likely to share in that inflated worth. This mismatch makes a negotiated sale much less possible, without adding in all the self-interest and network issues that the franchisor can bring to the table. buyers valued the tickets at only $170. Those that thought they were an owner, inflated their value by 8.2 times the market value. Dan Ariely makes some extremely important points about human decision making in this 1:54 video. I highly recommend his book, Predictably Irrational. Try out a few of the visual illusions he demonstrates on his weblog. If your eye can be tricked so easily, Maybe Dan’s idea that we make many mistakes in decisions that even experience will not solve. The idea of Decision Illusions may explain why so many pre-sale investigations result in catastrophic franchise investment decisions.